Now well on its way, this European Textile Network Conference, part of the Dutch “Textiel Festival” organised by STIDOC, an association made up of seven Dutch textile-related organisations, is promising a unique insight in the community of textile creators, educators and curators in the Netherlands. 1. Textiles in the context of the Stedelijk Museum and Dutch Design, Ingeborg de Roode. She is currently curator for industrial design in the Stedelijk Museum Amsterdam. She will discuss the role of Dutch textiles within the collection and the criteria that apply to collecting textiles today. She will also talk about textiles in the context of Dutch Design and the part played by Dutch designers in the international design world. Ingeborg de Roode organised many temporary exhibitions of which the most recent one is ‘Marcel Wanders: Pinned Up at the Stedelijk. 25 Years of Design’. 6. Material Mentality?, Simone de Waart. 2. “Textiles at the Rijksmuseum Volkenkunde/Leiden (The National Museum of Ethnology)”, n.n. One-day trip by bus to the TextielMuseum Tilburg with an introduction an introduction to the exhibition “Minimalism” followed by a tour through the museum under the motto “Experiment and Inspiration” stressing the making of textiles and the special products made in the museum. The well-known TextielLab (where textile artists/designers are able to experiment and produce with industrial machinery) and the “Minimalism” exhibition can be visited. Having a look at further museum premises is a further option. After the lunch in the museum cafe the trip will be continued with a visit to the Museum de Pont, a modern art museum in a former spinning mill or with a visit to a weaving mill producing innovative round-knitting today. One-day trip by bus starting with a visit to the newly re-opened Rijksmuseum with a general guided tour of about 1 hour, total time in this museum 2 ½ hour for further exploration. 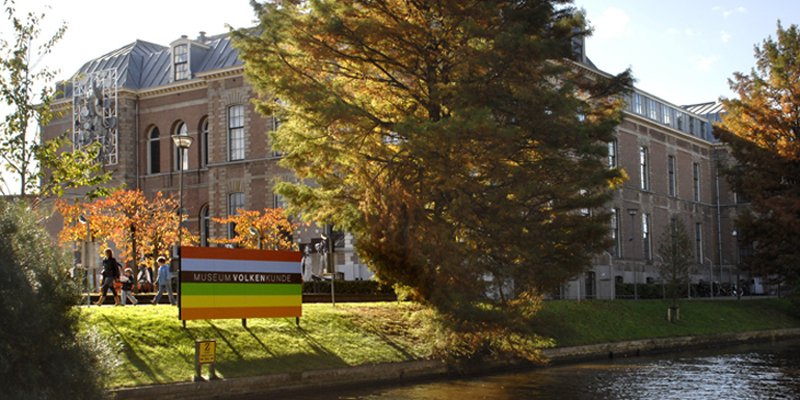 Than the group will walk to the former hospital “Wilhelmina Gasthuis” (WG), today an artists centre, where the ateliers can be visited a. o. of the well-known Dutch textile artist Marian Bijlenga, speaker at the ETN Conference. A special chartered boat at the “Leidsebosje” will take us on a tour of 1 hour through Amsterdam. Afterwards time to visit the “Nine little streets”, the famous “Kalverstraat”, the almshouses courtyard at the Waalse Kerk, or the high-end “Bijenkorf” store. The group will gather again at a central point and take the ferry from the Amsterdam Central Station to the new spectacular architecture of the film museum “Eye”. Rijswijk Textile Biennial with an Indonesian “Rijsttafel” (rice table) buffet and a glass of wine. Departure 17.30 h by bus. 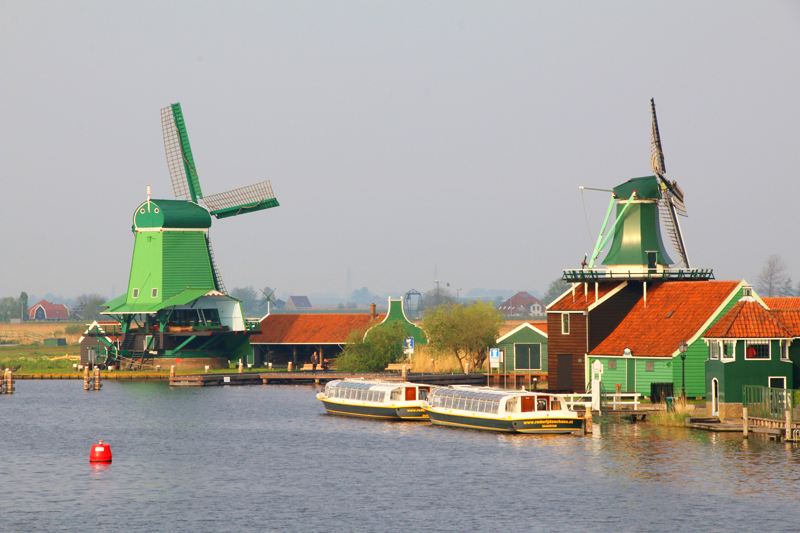 Dutch Folklore Day on 18 May: One-day trip by bus to the Zaanse Schans (www.dezaanseschans.nl/en/). 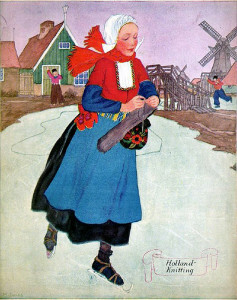 The traditional costume society “de Zaanse Kaper” will show us the costumes of that part of “Noordholland” (province). Further a visit to the “Verfmolen De Kat”, a walk of 10 minutes, is planned where the miller Piet Kempenaar will tell us about natural pigments and dyestuffs (www.verfmolendekat.com). Pancake restaurant De Kraai is our place for lunch this day. Than we move on by bus to Volendam for a boat trip to the peninsula of Marken (http://en.wikivoyage.org /wiki/marken). 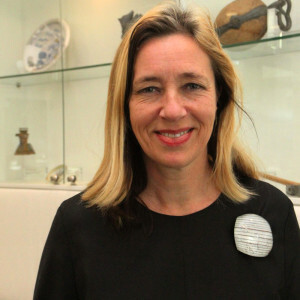 Curator Neeltje van Altena of the Marken Museum will welcome us and organise our visit: One part of the group is visiting the museum with a special textile exhibition on traditional children’s costumes; the second part will have a guided tour of Marken. After 45 minutes the groups will be exchanged. Departure by boat and by bus to Leiden. Visit to Leuven and Antwerp on 19 May Arrival at Leuven at 10:00 h to visit the company Materialise to be shown how 3D haute couture is created in this futuristic company. Than we travel to the Antwerp Fashion Museum (MoMu). We are welcomed by MoMu curator Frieda Sorber. Our group will be divided in 3 parts to get to see the current exhibition on Dries van Noten and also the depot plus archive. Return to Leiden around 20.00 h, depending on traffic. Visit to the Stedelijk Museum Amsterdam on 19 May, an informal visit at the Stedelijk Museum´s depot and textile collection. The group will be accompanied by ETN member Anne Mieke Kooper and will be guided by the Head of Design, Ingeborg de Roode (ETN Conference speaker). Meeting place is NOT the Stedelijk Museum but the Depot Stedelijk Museum, Gyroscoopweg 15, Amsterdam (train Leiden-Amsterdam, station Amsterdam Sloterdijk, than a walk of 15 minutes; travel time about 50 minutes). 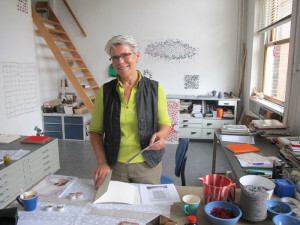 Vibeke Vestby: Working with the TC2 Jacquard loom Wednesday 13 to Thursday 14 May at the Tilburg Textile museum. This is the chance for all those who have wanted to try their hands on this electronic Jacquard hand-sample loom, connecting designers with industry and giving artists complete freedom of design!